Today we’d like to introduce you to Shante Ramires and Marissa Flores. Thanks for sharing your story with us Shante and Marissa. So, let’s start at the beginning and we can move on from there. Ironclad was ultimately our answer. We wanted to give girls (now boys soon) from underserved communities a home to play and give them a stage to be seen by college coaches, just like any other athlete nowadays. But it’s much more than that for us. 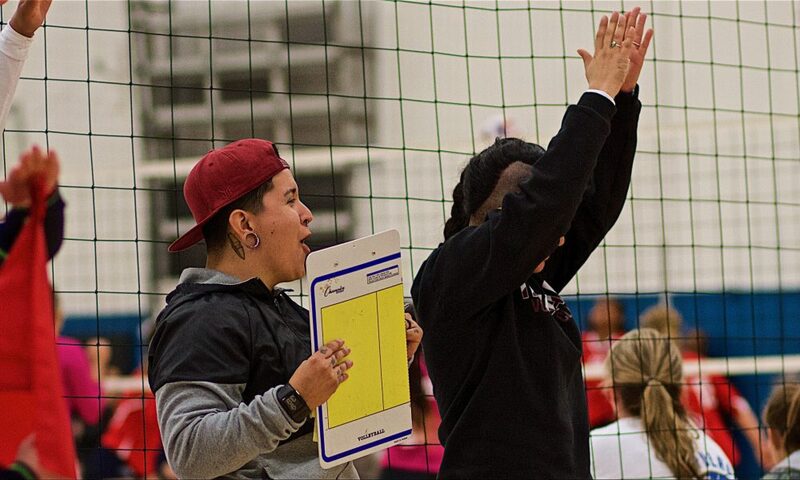 Our dream is to establish Ironclad Volleyball Club as not only a competitive volleyball club for the young women in the San Gabriel Valley area, but also create a community that cultivates learners who strive for the “next step.” Whether our players want to pursue a vocational certification, undergraduate degree, or any other career enhancing path, Ironclad Volleyball Club is committed to providing all the necessary resources for our players to pursue their dreams – on and off the court. Next season will be our 3rd as an organization and it’s funny to think that a random conversation started this madness we now call our business. Starting up, I wouldn’t say it was easy, but we’ve had and continue to have some amazing people in our corner. Our biggest support system is also our Board of Directors. Without them, we wouldn’t be here today. When we were initially looking to build our organization, we did lots of crowd sourcing, so some days were more successful than others, but honestly, we were taken aback by the overwhelming support we received from people once they found out what we were trying to accomplish here. Now that we’re beginning to make a name for ourselves, we’re starting to build relationships with other small businesses around us. As a non-profit community, partnerships are important to us. Of course with a small budget purchases can sometimes feel like a huge dent, but each season we’re learning new ways to save. Connecting with other businesses has been a huge contributor to our success. So let’s switch gears a bit and go into the Ironclad Volleyball Club story. Tell us more about the business. We’re a competitive volleyball club. We provide affordable travel/club opportunities for young women from underserved communities and economically disadvantaged backgrounds. At the moment, I’m most proud of my current graduates, here we call our Seniors who just graduated our Originals. Most have been with us since our first season, so to see many of them receive their diplomas is a bitter-sweet moment. We’re glad they’re moving on, but sad to see them go. A few never thought they were smart enough to even go to college or good enough to play college ball, and so many are now on their way to do exactly that. Also, in May one of our younger players was selected for the USA High Performance Program. This program has served as a pipeline for many Olympians in the past. We feel very fortunate to have her be part of our family, and to be able to help her along her journey. This only inspires us to keep giving opportunities to these girls who otherwise may not have had a club home. It only reinforces our commitment to these players who are so deserving of great opportunities, but are typically overlooked. I use that word all the time! We have been SO lucky. It’s not easy starting a business. The whole thing can be so overwhelming and scary at times, and then once it’s there it’s finding athletes and families to actually want to play for you. We are no one in the volleyball world. Who would believe us that we could be a good fit for their athlete?! But somehow, we got lucky our first season and had some great kids and parents walk through our doors, many who we now think of as family! I couldn’t talk about our club without using the word luck. $675 a season which includes academic tutoring, lunches, jerseys, practice uniforms, college finder assistance, all player registration and participation requirements, college and vocational application assistance, resume builder and interview preparation assistance, game footage for prospective college athletes, access to college athletes and coaches from all over the country.